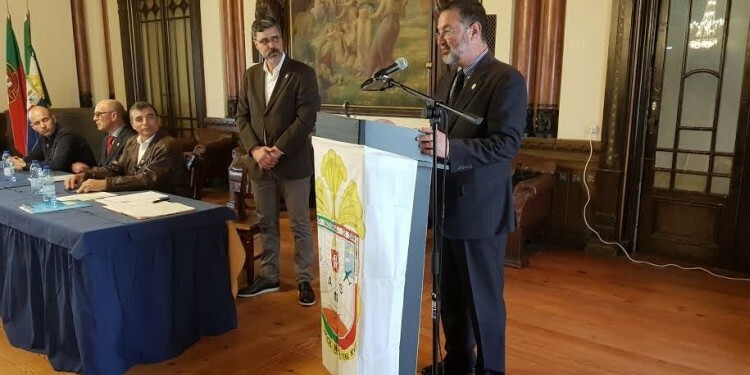 Abstract – On 9 March 2019, the new Board of ANS (one of EUROMIL’s Portuguese member associations) took office. In front of dozens of institutional guests and dozens of ANS members and friends, the “Casa do Alentejo”, home to so many and memorable occasions, the members elected on 2 February 2019, made their commitment in a very emotional takeover, conferred by the new President of the General Assembly, Luís Bugalhão. Before the commitment of the new members, Mário Ramos, in what he said was his last official intervention as President of the ANS Board, among other considerations of great impact, said: “Thirty years after its founding, which many called «a group of adventurers who do not last six months … », I feel obliged to honour the courage and resilience of all the Comrades who were part of the history of the ANS assuming, in a totally altruistic and disinterested way, the intransigent defence of the rights of the Sergeants and their families and the Military Condition.” Several guests spoke not only to welcome the new leaders, but also to reaffirm solidarity and willingness to work together. At the end of these speeches, and even though he had just taken office as Treasurer, José Pereira, asked for the floor in order to transmit, especially to the new and youngest Board members, who had just taken office, what was reflected by his experience after eleven consecutive participations. He affirmed that this experience made him feel a better citizen and a better military man, and helped him to realize that men, associations, institutions or political parties are not all the same, as it is often said. António Lima Coelho, the new president of the Board, closed with an intervention in which, based on the formula of the flag oath, he listed a series of injustices and anomalies occurring in the Armed Forces, affecting the military in general and the Sergeants in particular in many of these matters, while making a direct and clear criticism to the political parties whose parliamentary groups rejected the consecration of “January 31 – National Sergeant’s Day” and suggesting that if the law that recognizes the right of professional associations in the military is not fully implemented, then it is time to look for other ways in use in Europe and recently recognized by the European Committee of Social Rights. He ended his intervention with a greeting to all the members committed with the new Board, a mixture of veteran and youth.